Former OMD Melbourne managing director, Steve Sinha, has been appointed chief operating officer of the Australian Alliance for Data Leadership, (AADL), a network of associations including ADMA, IAPA, DGA and Digital + Technology Collective. Sinha brings more than 30 years’ experience in media, operations and business transformation including seven years as Melbourne managing director at OMD Australia. “We are delighted to welcome Steve to the team. His knowledge of the industry and experience in business transformation will be invaluable to ADMA and the AADL associations as we go through our next period of growth and expansion,” ADMA CEO, Jodie Sangster, said in a statement. “We are planning to continue our exciting growth phase in 2018 in order to drive the future of our industry and increase the benefits we bring to members. Bringing Steve on board will ensure we continue to lead the charge and deliver to the high standards expected by our members”. During this time at OMD Australia, Sinha delivered a program of digital, data, content and strategy transformation that saw the Melbourne agency treble in size. He continued his passion for digital and data transformation and organisational change with the successful launch of the consultancy Media Operations Transparency in 2016, according to ADMA. His experience also encompasses a passion for industry representation, spending seven years as Melbourne chairman and member of the National Awards Committee at the MFA as well as sitting on the Australian Chapter Board of the IAA for 2 years. In his new role, Sinha will report to Sangster and have responsibility for driving operational efficiency for the network of associations under the new AADL structure. 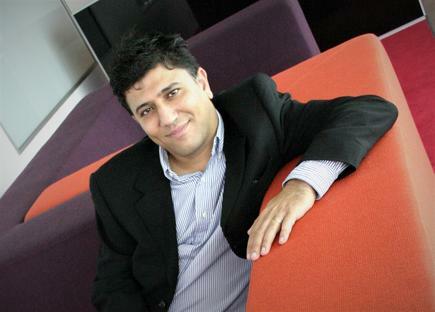 Sinha said his new role will be a “fantastic vantage point” to ensure that ADMA and entire AADL network effectively help businesses, marketers and all in the industry navigate an increasingly complex landscape and deliver best practice.